Cards are everywhere — relied on to purchase goods, grant access to buildings or memberships, earn brand loyalty points, discounts, and more. Companies can visually enhance cards to appeal to a wide audience, inspiring usage while creating a preferred, top-of-wallet experience. Card designers are able to create a product used routinely in everyday life and capture the vibe of brand, a company’s messaging, or reflection of their audience. However, the personnel most often charged with developing and approving card program designs, typically, are not the card designers. As a guide, below is a back-to-basics breakdown of an approach to the card design process. A creative brainstorming session is essential to the beginning of any card design. Take a look at what is inspiring and think about how to apply it to card design. The creative brainstorm can pull from a variety of items, such as the geometric pattern in the architecture on a building, the texture of a piece of metal, or the sparkle or shine of a car. This early stage in the process is the time to evaluate design trends and determine what should apply to your card design. Often, a mood board is created to narrow down concepts for the card design. A mood board is an arrangement of different inspiration points (photos, colors, and swatches). From there, you can see which elements work together and incorporate into the card design, and even, determine placement of these elements on the card. Once the creative direction is defined, it is time to move to material selection. Material selection influences the unique characteristics of a card, such as a colored or metal edge, added weight and rigidity, a reflective foil appearance, or a unique visual effect created by a color-shifting pigment or spot gloss. Material choices also create texture and can be used to highlight effects when the card is tilted in the light, while creating a tactile experience affecting how the card feels in the hand. It is important to remember, however, the goal is to create a product crafted for both form and function – a valuable product that can bear significant importance to a cardholder. 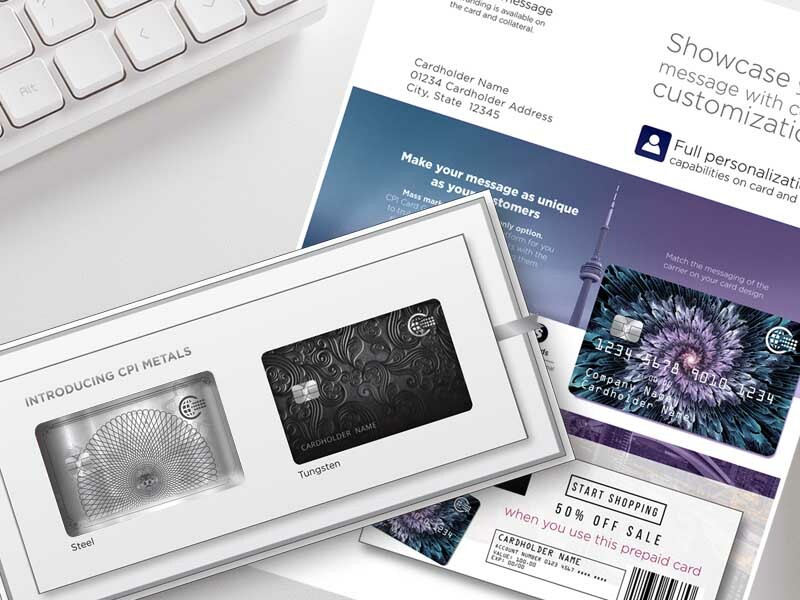 From premium metal cards to gift cards, to dual interface and technology cards, each card has a purpose and it is important for the design to complement its functionality while resonating with the user. For example, if the card is intended to be a dual interface EMV payment card, choose materials that maintain the integrity and functionality of the technology. 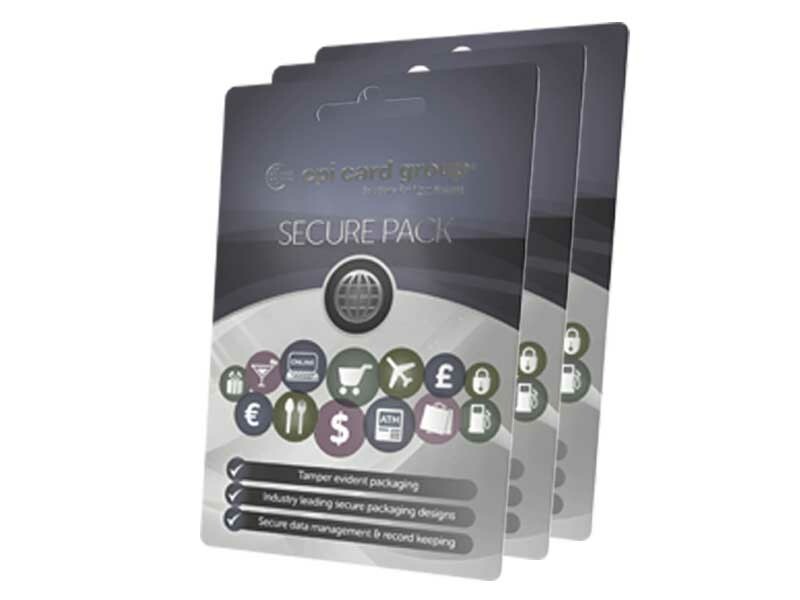 Ultimately, the card needs to be built from the correct materials to meet International Standards Organization (ISO) specifications and brand association guidelines to ensure it can swipe, dip, scan and wave as intended. As material selections are determined and the card moves into manufacturing, this is where it all comes together. Manufacturing decisions should be made with the mindset of ensuring that a card can be produced successfully for a reasonable cost. For instance, once the card exists, how will it be customized for the end user? Using a supplier that can produce cards and personalize them is a major advantage. However, in the case where a card is manufactured separately from the personalization bureau, the two entities will have to work together to manufacture a final product. If personalization is required, this is the time to decide on the elements that make each card unique to the individual cardholder. If there is a cardholder name, will that name be embossed, flat, or laser printed? Perhaps the designer prepared for one of the new trends such as vertical cards or personalization on the back. This is a great opportunity to “expand the canvas” of the card to include custom carriers and materials that carry the design through, as well. Outside of the card itself, considerations need to be made about how the card will reach the cardholder. What sort of packaging will it have? Will it go through automated processes to fit into a package, mailer or envelope, or does the card need to be securely displayed in a retail setting? The only limit to packaging options are imagination and budget. Truly high-end experiences can be created for special cardholders with hand-packaged boxes, cartons and priority delivery. Card design does not end with the graphics; the card is a product where materials and craftsmanship are important to the success of the end product. The experience of receiving a card should be exciting and inspire the end user to use the card again and again. This is true regardless of whether the card is received via mail from a financial institution, issued instantly, or purchased from a retail outlet as a prepaid or gift card. A recipient who is delighted by the way their card looks and performs benefits from the time and attention applied to the design, and that happy experience becomes a reflection of the brand, as well. Developing a card can feel like a lot of pressure for those charged with the design. 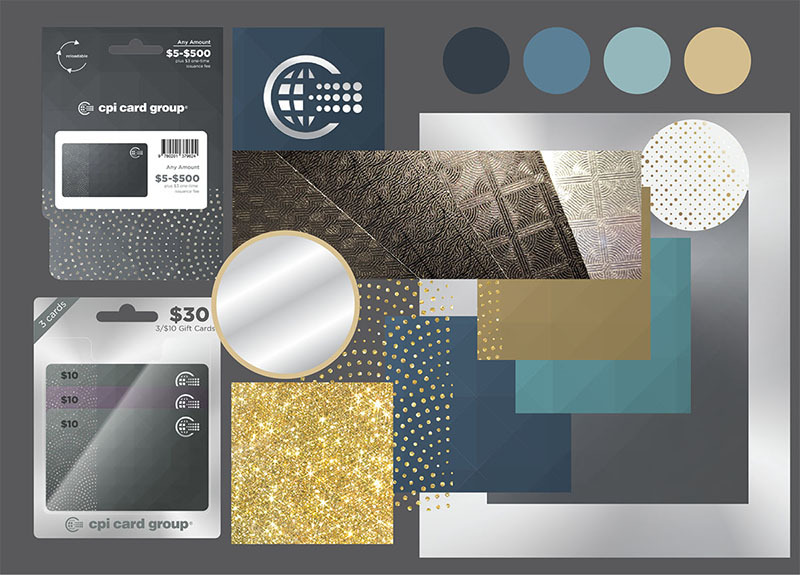 However, if the project is approached with the steps from initial creative brainstorming, to material selection, manufacturability and distribution, ultimately there will be a fully functioning, beautiful, and hopefully, valued card product in the cardholder’s hands. Megan Bogard is the Design Manager at CPI Card Group.